A cup of coffee and a donut. I can't help it. It happens every year about this time. Late September. Something happens. Maybe it's that first cool breeze, or the first few leaves that fall, but it happens. It happened this morning while I was walking dear Putsy in our neighborhood. 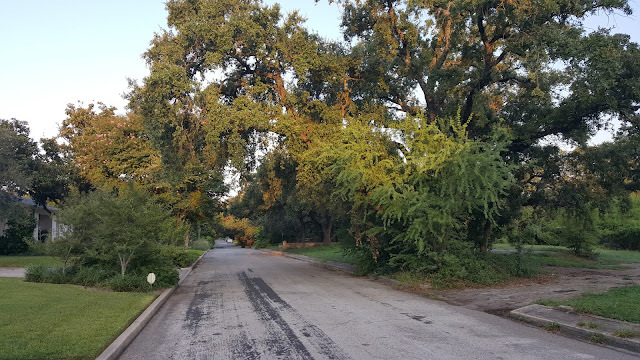 It probably helps that our walking route includes a little stretch through the Trinity University campus here in San Antonio. And suddenly my mind and my heart briefly go back to a place and a time about thirty (or forty?) years ago.